Sellers will have to offer value to make sales. Sellers may have to work harder to woo buyers as Americans do their back-to-school shopping, according to a recent survey. That's because shoppers are expected to spend less on back-to-school items this year compared to last, according to the National Retail Federation. The organization reports that buyers will spend an average of $603.63 on back-to-school gear for children in kindergarten through high school. This is slightly less than the $606.40 average from last year. Parents will spend an average of $808.71 on their college-aged children, down from the $835.73 average of last year. 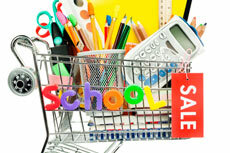 In all, buyers will spend about $68.8 billion on back-to-school items. However, this does not mean parents won't buy for their kids, says Matthew Shay, the president and CEO of the NRF. It means parents will be thriftier than they have been in the past, and that sellers may have to try a little harder to make sales. "Families aren't opposed to spending on what they need, but parents want their children to take a good look around at what they already have before deciding to buy for back to school this year," Shay explains. Shoppers are expected to buy more generic-brand items and do more comparison shopping online to ensure they get the best deals. And as students head off to college, fewer of them will have the latest electronics, as only 45.8 percent will buy these. That's the lowest percentage since 2005, the NRF reports. Since people are expected to spend less this year, sellers will need to go the extra mile to attract buyers, says Auctiva Product Analyst Rebecca Miller, a Top-rated Seller who has been an eBay seller for nearly 12 years. "It will be important to make buyers think they're getting a great deal and saving money on items," she says. "One method is to offer free shipping. Psychologically, buyers are attracted to listings with free shipping." She adds that offering school-related freebies like markers, crayons or pencils might also persuade buyers to purchase from you, over a competitor. "Products like these aren't expensive, so you wouldn't lose much in the way of profits, but you could earn a loyal customer," she adds. Back-to-school shopping is the second biggest sales time for retailers, behind the holiday selling frenzy, according to the NRF. It's not just jargon, but the key to setting your business apart. More online buyers fuels growth; smaller retailers gain share. Larger screen, portability and features make the devices more engaging. Shoppers spent 19 percent more online in April. Marketplaces account for half of online retail traffic in June.